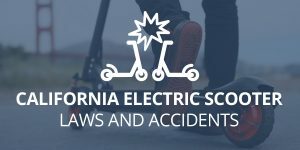 While physical injuries are observable, it is possible to sustain unseen mental or emotional injuries in a car accident. In fact, research has shown that car accidents are the largest cause of mental trauma amongst males (25% of all mental trauma) and the second largest cause amongst females (13% of all mental trauma). Psychological damage doesn’t require serious injury or even a serious accident to occur. 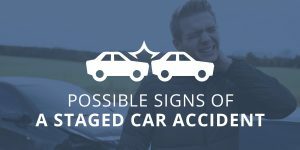 Minor accidents can trigger emotional trauma, which could impact an individual’s quality of life for months or even years. An experienced auto accident attorney understands the impact a psychological injury can have and is able to properly fight for just compensation. Any of the aforementioned injuries can take a large toll on an individual. In many cases, these injuries will prevent victims from being able to attend school, perform work, or even simply do the things they used to love. While certain psychological injuries can heal on their own, PTSD often requires prolonged periods of regularly therapy and may require the use of medication. There’s a misconception that the severity of psychological issues can be directly tied to physical injuries. Some insurance companies may try to downplay your psychological problems by arguing that you weren’t physically hurt or you only suffered minor injuries. On the contrary, psychological injuries are not necessarily linked to physical injuries. You may suffer no physical harm at all, but still be tormented by anxiety, depression, or PTSD. Treatment for mental and emotional distress will vary based on the individual and severity of the problem. In some cases, symptoms of emotional distress will heal over time without any treatment at all. However, more severe cases of emotional and mental injury will likely require psychological treatment. Treatment methods include counseling, psychotherapy, and the use of prescription medications. 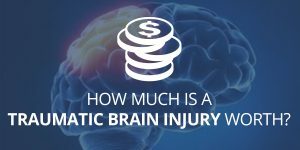 The cost of treatment for mental conditions can actually be just as expensive as treatment for physical injuries. In some cases, it can actually cost more. Can You Receive Compensation For Mental or Emotional Suffering? Psychological injury is classified under the law as pain and suffering and you can recover compensation for such injuries. The pain stemming from emotional suffering is just as real as physical injury and in many cases, it may take even longer to heal. Crash victims will often try to recover directly through their insurance or the at-fault party’s insurance. However, they may fail to take psychological trauma into account when discussing a settlement, or they may be denied compensation for psychological injuries. A personal injury attorney can help you gauge the severity of your injuries and the amount of time and treatment involved in recovery. All of these components can be factored into your settlement. To receive the maximum amount of compensation for pain and suffering, you’ll need to be able to prove the car accident negatively affected your psychological health. Proof could include eye-witness accounts of your abnormal behavior, evidence of regular therapy visits, or accounts of how you’re no longer able to perform daily tasks due to mental duress. Your attorney can gather evidence and put together a case to earn you just compensation for your suffering. Nevertheless, it isn’t easy to “prove” a victim is suffering from emotional distress. The amount of compensation you receive will depend largely on how effectively you can prove the extent of your injuries. It’s important you have an attorney fighting in your corner who can effectively present the severity of your injuries. While not physically visible, psychological injuries should not be taken lightly. Megeredchian Law has one of the largest professional networks to connect you with treatment professionals, car repair mechanics, or expert witnesses for litigation. We can set you on a path to healing while our attorneys focus on earning you the compensation you deserve. Schedule a free initial consultation today by calling us at (888) 243-2050 or filling out a contact form.